David and I hit the road early yesterday heading for Judy Hill's home show in Kilgore, Texas. We got there about 45 minutes after the doors opened, and from what I could tell, the early folks were not shy about messing up Judy's displays, and taking the goods for themselves. Do you know Judy? She is the Queen Mother of J.Hill Designs. She decorates her entire home with priced objects. Lovely, priced objects. It's like an estate sale. Come in, shop everything. Everything (with few exceptions) is for sale. 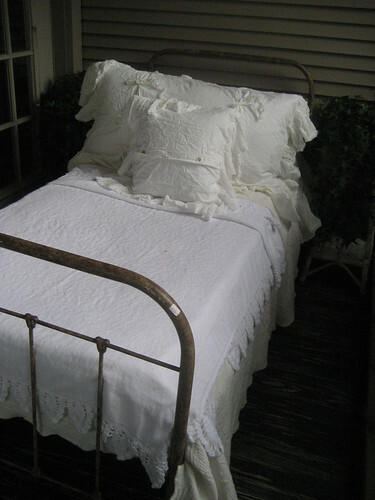 She offers fine linens, awesome antiques and lots of repurposed goodies. Besides her gift of acquiring good stuff, Judy has an ability to design and decorate space so well that you will want to slap your momma. To say she is "good" is an understatement. Wanna see our pictures? David, photographer extraordinaire, has his flickr set all organized here. And here are the pictures that I took. Enjoy! 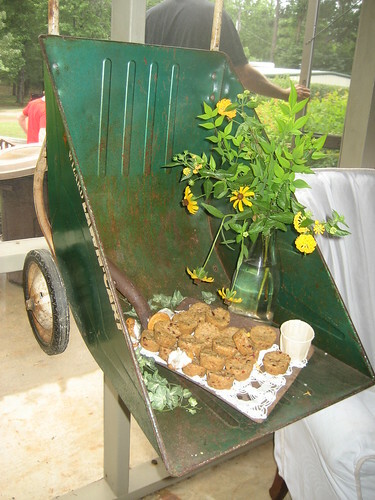 Check out this wheelbarrow and shovel serving platter! Judy now has a blog on her website. You'll have to swing over there and see what wisdom she is sharing today. 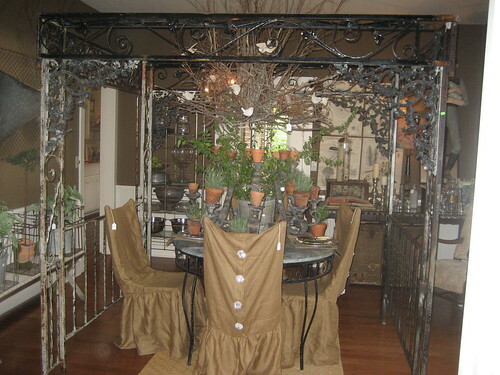 Tomorrow, I will share pictures of the Spring Garden Show at Portia's with Gina and Alan of Country Garden Antiques. 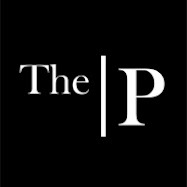 These are exciting times! Saturday at 11:00am, I hope to see you at Winnie & Tulula's for the Grand Opening. 119 E. Tyler, Athens, Texas. Just follow the glow of the pixie dust! 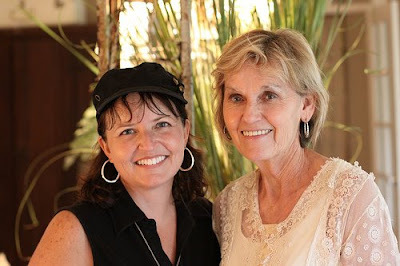 I found you thru Annie Fannie and Abigal, this is the first time I have seen your blog, it is Wonderful! I will be looking for you in Washington on Sunday, I'm assuming you will be a vendor?? I try and use my "inside voice" but you will no doubt hear me before you see me, I get louder as I get more and more excited! Can't wait to be a shopper, so I can be out and about instead of in the booth! Thank you soooo much, Mindy, I have been so anxiously waiting to see pictures, as I am such a huge fan of hers!!!! A special hug to your sweet David for putting them on Flickr!! Thank you for the compliment, honey. I didn't realize how few of my pictures in that set were public. But I just got through making the whole set public because I want your readers to see Judy's work. I only wish my photography skills could do it justice! Everything looked better in person! Hi Mindy , Thanks so much for sharing! It looks Beautiful! I love a good show. I'm excited for your Grand Debut tomorrow at Winnie & Tulula's. Please ,please take a ton of pictures. Though I can't be there ( oh to be wealthy and and just fly away on a whim! ) I'll be with you in spirit. My only preshow ritual is a stomachache. Does that help you? LOL! I'm always so busy with last minute stuff , I'll have to pay attention before Expo to see if I have any real rituals. Have Fun!! It all sells eventually.